Life has a weird sense of humour. I, Jade Pham, serial gifter and enabler of other people's happiness, am dating a boy who hates receiving gifts. In his bizarro world gifting is a product of a consumerist society and yada yada yada - I stopped listening to that rant because I've heard it so many times. But I did listen to his rules about gifts being wanted, practical and meaningful. They're allowed for things like that time he flew across the country to surprise his close friend of his birthday, or that time he printed photos of him and a friend with The Doppelgangaz at their Perth gig, sent the photos to the US with return postage so the rappers would sign the photos for a birthday present. So some presents are allowed as long as you follow the rules. I do like rules. I like following rules a lot. But what I like even more than following rules, is finding ways to bend them to the point of breaking. Which is why for his Christmas present, I spent an hour peeling and chopping garlic to put in a big jar with olive oil. He likes eating garlic but he hates chopping it up because of the stank. 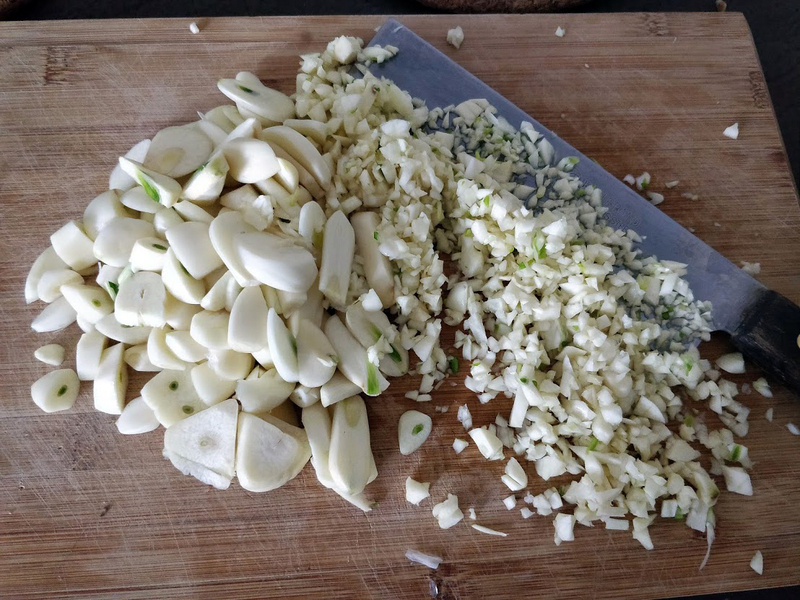 I, on the other hand, have spent the past however many years with stinky garlic hands every other weekend because I bulk cook for Phamly gatherings so it ain't no thang. The gift went down well...ish. At first he was mad that I got him a present but when he realised I made it myself and it was practical, he calmed down... a little. Then for his birthday, I got him one of my favourite books because he churns through novels the way I churn through honey jars, and again he was mad but he got over it. So then for a housewarming gift when we moved in together, I got him the riskiest gift yet: a Nintendo Switch. I've never seen anyone so angry about receiving something they've talked about for half a year - he thought about breaking up with me, but by then it was too late because we are both too lazy to move house again so soon. I haven't gotten him anything big since then because he very loudly complained about the Switch for the first many hours he sat there playing Zelda. But now the memory of that is fading, I'm about ready to find another awesome gift that he'll hate accepting. It probably is for the best that the man for me isn't a taker because I would give more than I should and burn out like I've done with so many takers in the past. He's infuriating as hell, but right for me.